Semi-automatic transmission, front wheel size 2.5-14", rear wheel size 3-12", air cooled 4-stroke single cylinder 110cc engine, kick start, seat height of 32.28” and front and rear hydraulic disk brakes. The Apollo DB-34 110cc contains a single cylinder, 4-stroke engine with a top speed of around 45 mph. It is available in either blue, green or red colors. 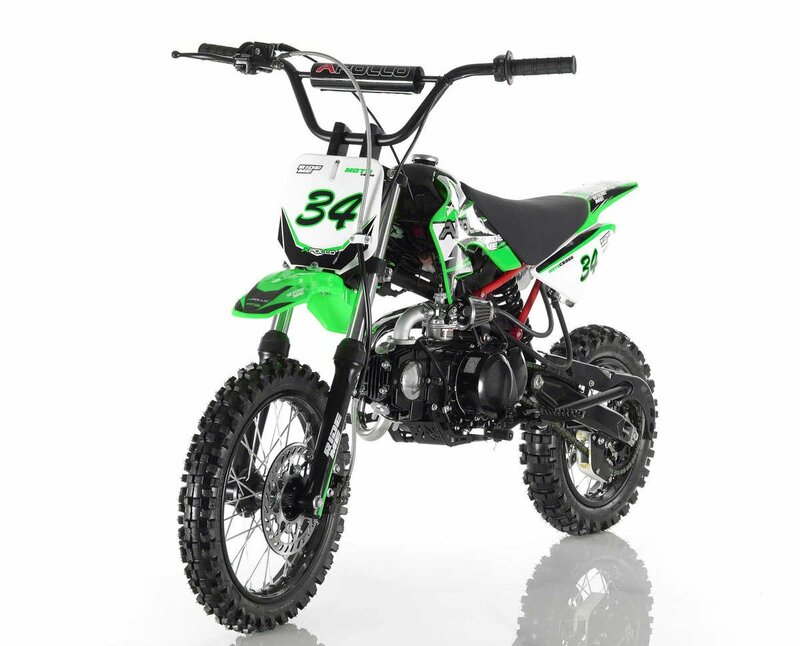 It features semi-automatic transmission, with both front and rear hydraulic disk brakes, a twin spare heavy duty steel frame, and non-adjustable 29.9” front and 12.5” rear suspension. For something of a relatively small engine, the Apollo DB-34 has a surprising top speed at around 45 MPH. Despite its relatively small size, the Apollo can really open up, in long stretches—when in a straightaway, letting it get to its top speed is an incredible amount of fun. Don’t let its small size fool you into thinking it’s somehow lacking in safety features, however—a very sturdy twin spare steel frame and front and rear disc brakes ensure that the Apollo 110cc is built to last, and will hold up in the most demanding of environments. It’s a great choice for someone looking to cut their teeth on their first pit bike for racing, as it has top speed for days and great acceleration. 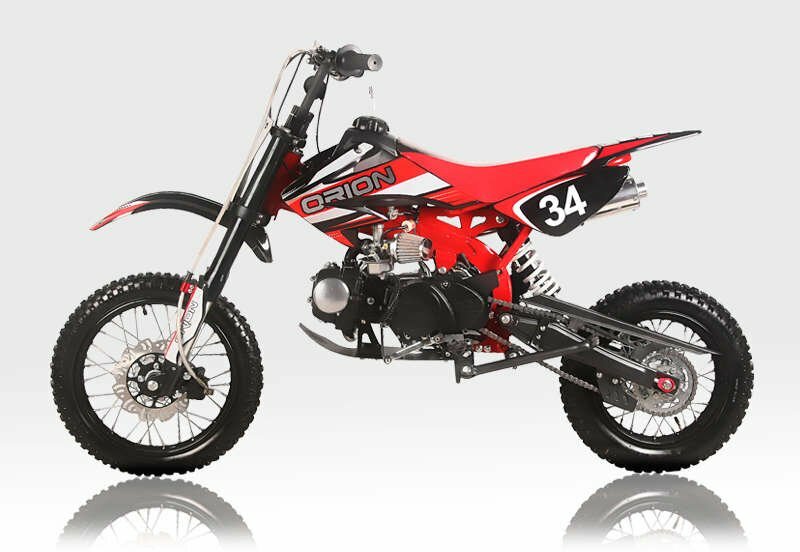 Overall, it’s a great bike for beginners, and those already accustomed to pit bikes with larger engines might be surprised by this otherwise unassuming entry-level bike.